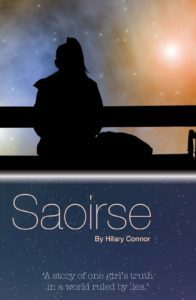 Hilary Connor Holistic Wellness Practice is based in Monaseed, Gorey, Co Wexford. However, we provide our services Internationally and throughout Ireland. Should you wish to arrange a treatment session online or in person feel free to contact me, I would be delighted to discuss further with you. Why not join our inspirational & life motivating thriving Facebook group where Hilary regularly contributes words of empowerment for you along your journey called life. Yes, I consent to Hilary Connor storing my personal details and contacting me by phone and/or email regarding my enquiry submitted through Hilary Connor's Website. Launching 18th August 2018 - Available to pre-order now. All pre-order copies purchased through www.hilaryconnor.com are signed by the author and will be delivered after or on 18th August 2018.